Whether you love it or hate it, the change of seasons is bringing in much colder weather. 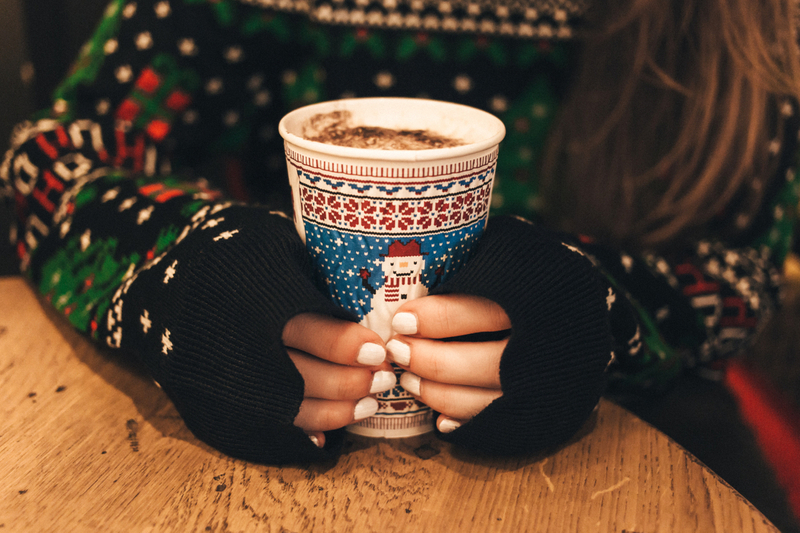 For coffee shops and restaurants, the change of seasons also creates new opportunities to introduce seasonal specialty beverages for their customers to enjoy. Thanks to the abundance of flavored syrups and sauces available, there are endless possibilities of flavor combinations that you can create. Warm up the festivities all season long with these tasty recipes. The perfect mix of coffee, chocolate, and mint, this classic drink pops up every year around the holidays. This specialty coffee drink can be made by mixing freshly brewed espresso with prepared hot chocolate and a squirt of peppermint syrup, or by adding a combination of chocolate sauce and peppermint syrup to the espresso and topping it with steamed milk. For lactose-intolerant coffee lovers, try “barista-style” nondairy milk to get the perfect amount of foam. Finish off your creation with a peppermint stick or candy cane and a dollop of whipped coconut cream for richness. For those who prefer white chocolate, replace the chocolate sauce in the above recipe with white chocolate syrup. If you choose to use nondairy milk for this recipe, try something rich like soy or coconut to complement the white chocolate flavor. Top it with whipped coconut cream and crushed candy canes for a seasonal delight. What better to serve alongside gingerbread cookies than coffee with the same flavor? Mix strong brewed coffee with a combination of ground ginger, cinnamon, and cloves, and add your favorite sweetener to balance the richness of the spices. You can also find gingerbread syrup with these flavors already combined to make preparation even easier. Shake some nutmeg or cinnamon on top, and don’t forget to dunk your cookies! This popular Fall beverage is enjoyed long after the leaves fall - and it can be made easily with pumpkin spice syrup and a professional espresso machine. To create an even deeper flavor perfect for pairing with pumpkin bread, use pumpkin spice coffee beans to make your espresso. Add a splash of pumpkin spice syrup, pour in some steamed milk and finish it off with a cinnamon stick to warm up in the winter months. Of course, you can’t have a collection of holiday coffee recipes without including eggnog in some form. It’s easy to turn this classic Christmas beverage into a coffee drink everyone will enjoy. Start with espresso, and steam or heat the eggnog. Drizzle in some cinnamon and nutmeg syrup before pouring in the warm nog, or top the latte with just a dash of the same ground spices. Make a merry end to a day of festivities and beat the winter chill using unique flavored syrups designed just for these special days of the year. Waterfall Gourmet Beverages offers a wide variety of wholesale coffee syrups, sauces, and other products for coffee shops and restaurants all across Central Texas. Start planning your winter orders now!